The most fabulous time of the year for cricket fans is soon to come as the craze for Vivo IPL 12 2019 has already started. 2019 is undoubtedly going to be a treat for cricket fans as the T20 World Cup and the most anticipated cricketing tournament, Indian Premier League is a few months away. 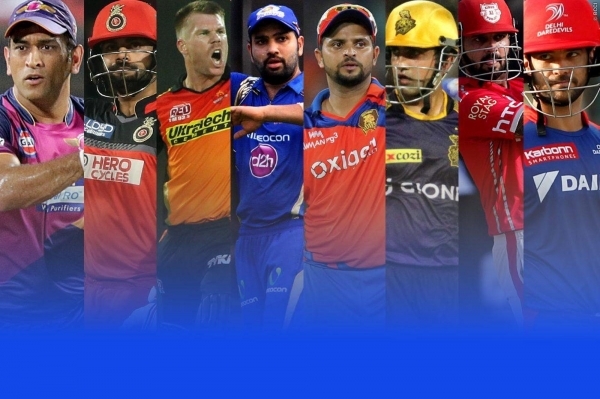 And for everything that you wish to know about this year’s Vivo IPL 2019 teams and players, we have got you covered. This year we have witnessed some breaking news in the release of players and teams buying up players with loads of money in the auction. A whopping amount of Rs 106.80 crore was spent by different teams to buy players in the sale. A total of 60 out of 351 players were sold in this year’s IPL auction. The bidding wars were hectic where all the Vivo IPL 2019 teams fought to grab the best players in their bags. The eight franchises for IPL 12 are Chennai Super Kings, Kolkata Knight Riders, Delhi Capitals (previously Delhi Daredevils), Kings XI Punjab, Mumbai Indians, Rajasthan Royals, Royal Challengers Bangalore, and Sunrisers Hyderabad. All the previous teams are playing this year’s IPL too and have retained a good number of players from their past teams. 2019 will witness the 12th edition of the world’s most famous and anticipated T20 tournament to be held in India. The Vivo IPL 2019 teams and players list saw a few significant changes but not that big as all the teams retained most numbers of their players. The biggies for this year’s auction who were bagged for the most money were JaydevUnadkat&VarunChakaravarthy at Rs 8.4 Cr and Sam Curran for Rs 7.2 Cr. Jaydev was picked by Rajasthan Royals, whereas Sam Curran and Varun were brought by Kings XI Punjab. Cricket fans were greatly upset after Yuvraj Singh, the star for India in World Cups 2007 & 2011, went unsold for the initial bidding sessions. Yuvraj Singh was finally brought by Mumbai Indians for Rs 1 Crore. It was Kings XI Punjab who bought the maximum number of 13 players by spending Rs 32.50 Crore out of their purse in Vivo IPL 12 auction 2019. Chennai Super Kings were the only team to have bought two or lesser number of players in this year’s auction. Have a look at the new inclusion of Vivo IPL 2019 all team Squad List after the auction. Auction for Vivo IPL 2019 12th Edition saw some uncapped players grab big contracts while other big players went unsold. Some of the big players that will remain out of this edition of IPL are Brendon McCullum, CheteshwarPujara, Chris Woakes, Corey Anderson, Dale Steyn, Morne Morkel, Alex Hales, andHashimAmla. All the teams have got themselves the maximum number of allowed overseas player,i.e., 8 in their teams. Out of the 60 total players that were brought by the eight franchises, 40 were domestic and 20 overseas. Yuvraj Singh will once again be seen in different jersey this year as Mumbai Indians buys the World Cup-winning all-rounder at base price. A total of 351 players were listed down for Vivo IPL Auction 2019, and the teams started the bidding war to fulfil the condition of a minimum of 18 players or maximum of 25 players in squad-size and make their squad a strong team. Considering T20 World Cup on the calendar in the coming months, we can expect the IPL to be way more prominent than the previous editions as the players will try their best to prove their worth in this shorter cricket format. Vivo IPL 2019 all team squad list looks pretty impressive and ready to give us a month full of cricketing excitement again this year. The latest news clears that the IPL will not leave the country this year and the schedule will be soon in our hands. So, hang on there and stay excited!